Get your chopsticks ready, we’re going to Wok and Sushi! The deserted, quiet streets of Asmalımescit have undoubtedly had a negative effect on new venues that have opened up. Still, those who are into good food keep flocking to Asmalı for their favourite eateries, both old and new ones. 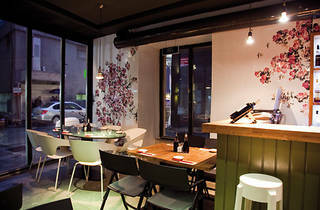 And it’s precisely those people who will fall in love with Wok and Sushi’s 107 food options and 120 drinks. 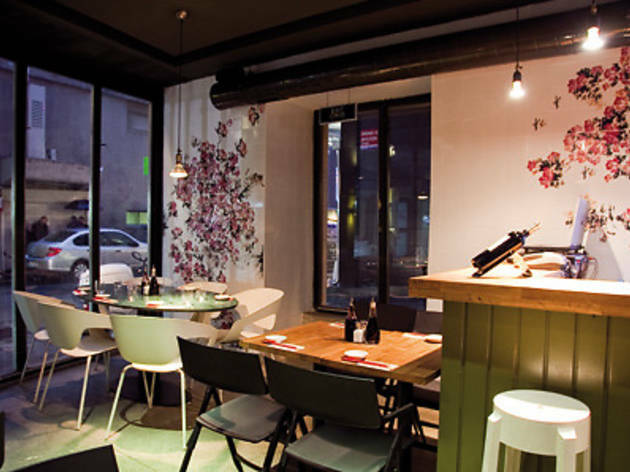 Wok and Sushi can seat up to 35 people in its cosy, unadorned location, though the restaurant also offers delivery to homes and offices nearby. This is one of the few places serving Chinese, Japanese and Thai cuisine all together, which translates into a Buddha statuette smiling at you as you’re eating your sushi and rose motifs winking at you from the ceramic tiles as you’re sipping jasmine tea. Given the season, we recommend trying the slightly-spicy shrimp noodle soup or the Tom Kha, a shrimp soup featuring coconut milk. You’ll feel the sting of the peppers all the way from your nose to your ears, which, if you ask us, is a pretty good way to stave off illnesses. The menu also does double-duty as a Japanese language guide of sorts, given the options like ebi salad rolls, kani maki, futomaki sake kappa, ebi nigiri, sake nigiri, halibut, gunkan ikura, wasabi and more. What makes Wok and Sushi unique is that you can get your meals in full or half-portions, an option that’s hard to come by in places like this. If you’re a crowded group or want to throw a party at home, all you have to do is place your order a day in advance. Wok and Sushi prepares your order in the cleanest, fastest and freshest way. And since the restaurant offers wine or beer alongside sushi, this is a good place for post-party snacking in Asmalı. 12.00-03.00 Monday-Saturday, delivery from 11.30-02.30.